Directed by and starring James Franco, this comedy depicts the making of the cult classic, and notoriously terrible film, The Room. 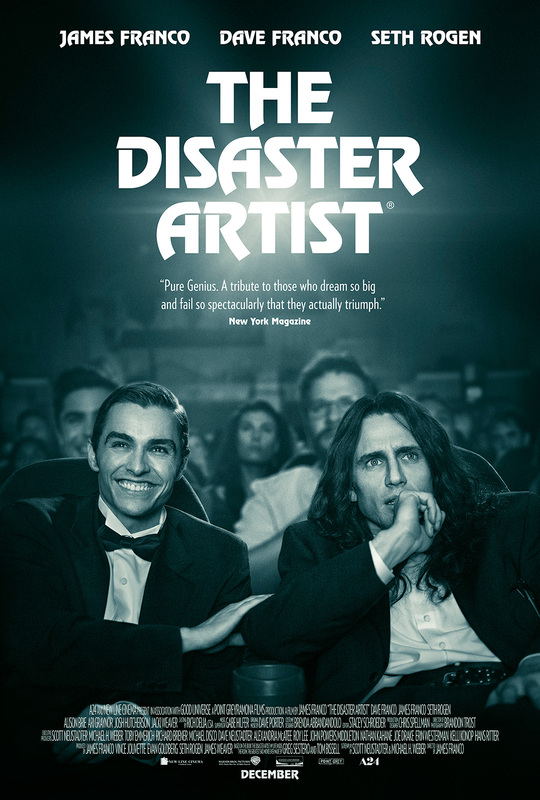 James Franco plays the bizarre and mysterious Tommy Wiseau, who wrote, directed, and financed the six million dollar film entirely out-of-pocket. The cast features Seth Rogen, Dave Franco, Alison Brie, Ari Graynor, Josh Hutcherson and Jacki Weaver. James Franco won Best Actor in a Musical or Comedy from the 2018 Golden Globes and the film received a nomination for Best Picture.